"Having visited EVERY country in the world, Johnny and Josh wanted the GiveBackGiveAway to 'give back' to travel. 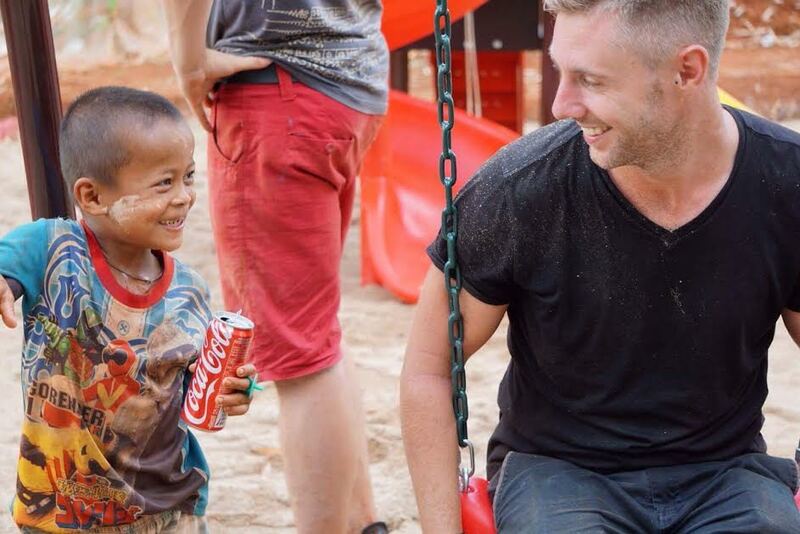 Senegal, Cambodia, Northern Thailand and now Myanmar, the GBGA team crowdfund and initially built playgrounds for kids in impoverished communities. As we've grown we build classrooms and dormitories for kids who are sleeping rough at the schools. Our upcoming project in Myanmar, the community was devasted by Hurricane Nargis, and 16 orphans are sleeping until a shack, so we want to give them their own space to sleep, their own school to study in and a playground to they too get a chance to be kids."